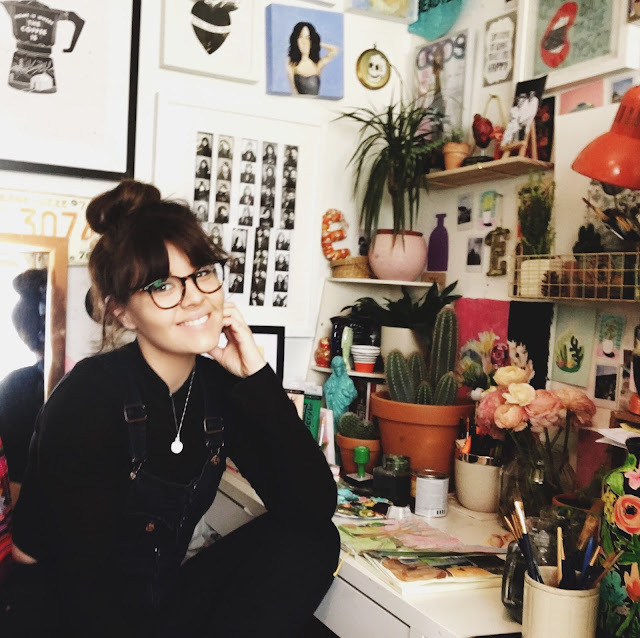 Ella masters studio is a London based illustration studio run by Ella herself producing client based work, paintings printed products and commissions. From her London studio ,Ella creates fun illustrated goodies, inspired by her love for pattern and colour. Ella Masters is a fine art graduate from North West London and is well known for her quirky quote prints and colourful work, Ella has also the writter behind ellamasters.co.uk Bloglovins no.1 Art blog in the uk, from her home studio she runs her beautiful business and can often be found at her desk watching a history documentary while painting away in her beloved sketchbook. Ella has had the wonderful opportunity to work with some fab clients that include, Anthropologie, London tattoo convention, shake shack, The BBC, The Sun, Cafe Nero, Cath Kidston, Lancome and has been featured in a number of publications Mollie Makes, things and ink,The telegraph, the guardian and blogosphere magazine to name a few.